I was chasing the light this morning in the Maroon Bells Wilderness. 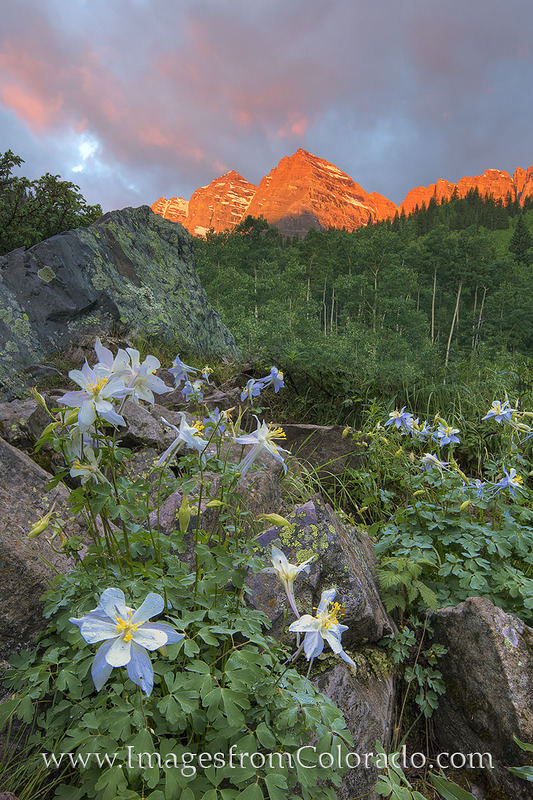 With the sun shining on the rocky peaks of the Bells, two of Colorado’s 14ers, I found this little patch of Columbine to use as a foreground. These Colorado wildflowers are the state official flower and bloom in June and July each summer. Their blue and white petals are delicate and add a splash of color to these mountain landscapes. Photo © copyright by Rob Greebon.